The East of Asheville Studio Tour (E.A.S.T.) is a very cool event that takes place twice a year in our neck of the woods. 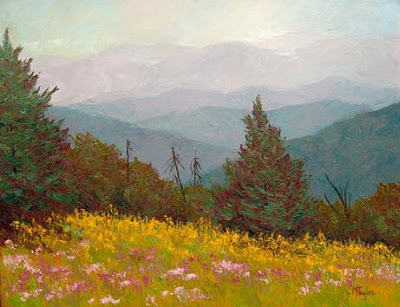 Artists from Black Mountain, Swannanoa, Fairview and East Asheville open their studios to the public for free self-guided tours and the chance to meet the artists and view their work. This year, E.A.S.T. is a participant in American Craft Week (October 1-10), a celebration of handmade American crafts. On October 9 and October 10, from 10am until 6pm, the studios will be open, and some artists will be doing demonstrations. There are more than 30 stops on the tour this time around, and you can visit as many as you like for free. All types of art will be represented, such as sculpture, drawings, paintings, wood, glass, fiber, leather, paper, metal and clay, photography, pottery, custom furniture, and more. This tour is a great testament to the fabulously eclectic mix of talented local artists we have in the area. We’re very proud to be one of E.A.S.T.’s sponsors year after year. If you miss this tour, no worries, the next tour has already been scheduled for May 7-8, 2011. For more information or to download a tour map, visit www.eaststudiotour.com. Maps are also available at the Inn on Mill Creek.